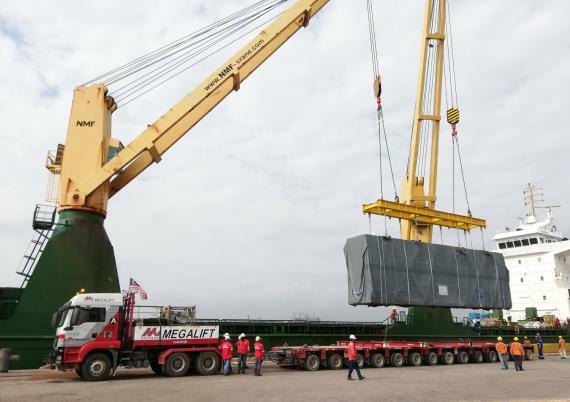 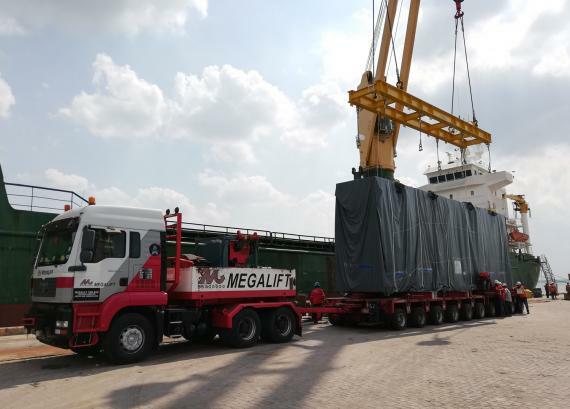 This 1,440 MW combined-cycle gas turbine power plant is a new project that Megalift has recently secured, expecting a total of nine shipments containing more than 60 items each. 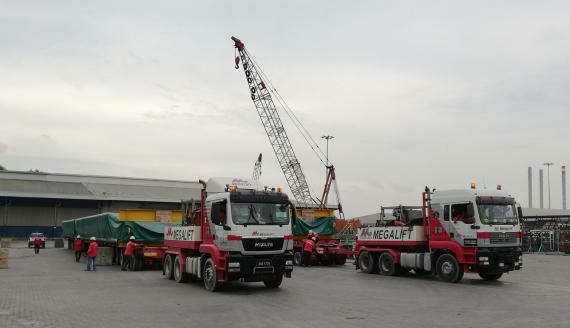 Currently at its fourth shipment, Megalift have transported a wide variety of structures including units of casing assembly, duct assembly, top beam assembly and many others. 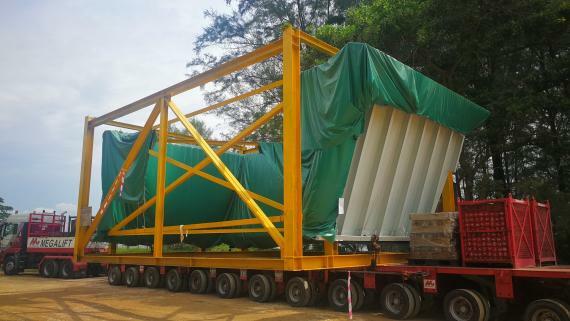 They are each different in shape, dimension and weight. 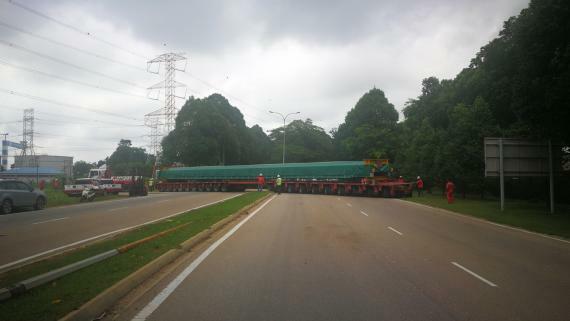 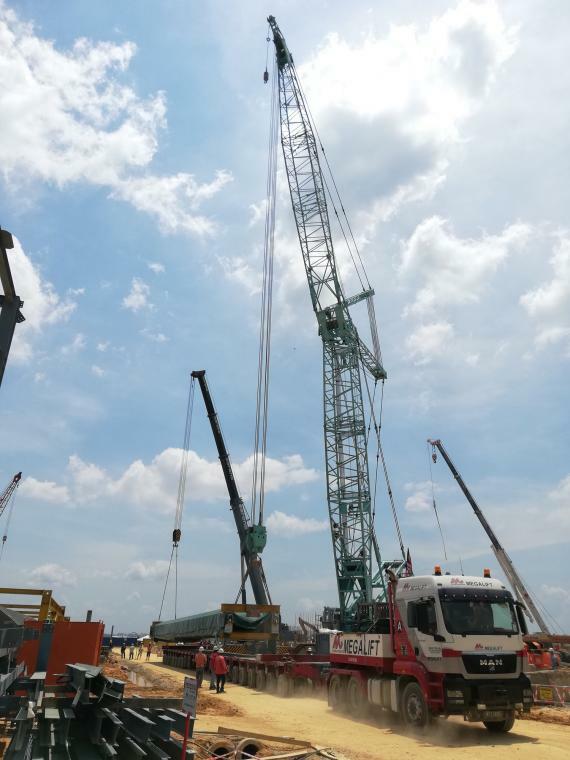 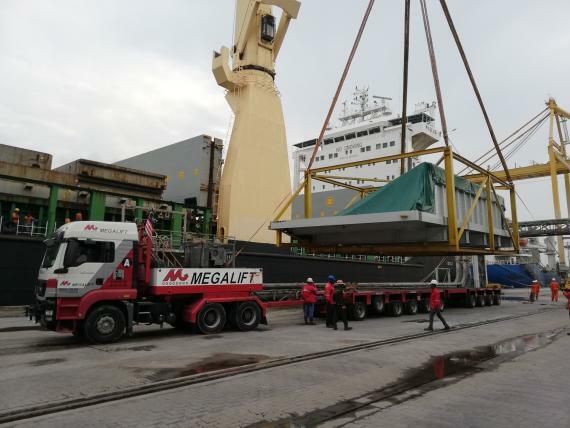 Among the longest during the first few shipments are the right-side casing assemblies, weighing more than 40T each with a dimension of L34.00 m x W3.40 m x H1.75 m.
Megalift's new project, valued at almost RM5 billion, is expected to achieve commercial operations by 1st July 2020.